11,624 others viewed this post. 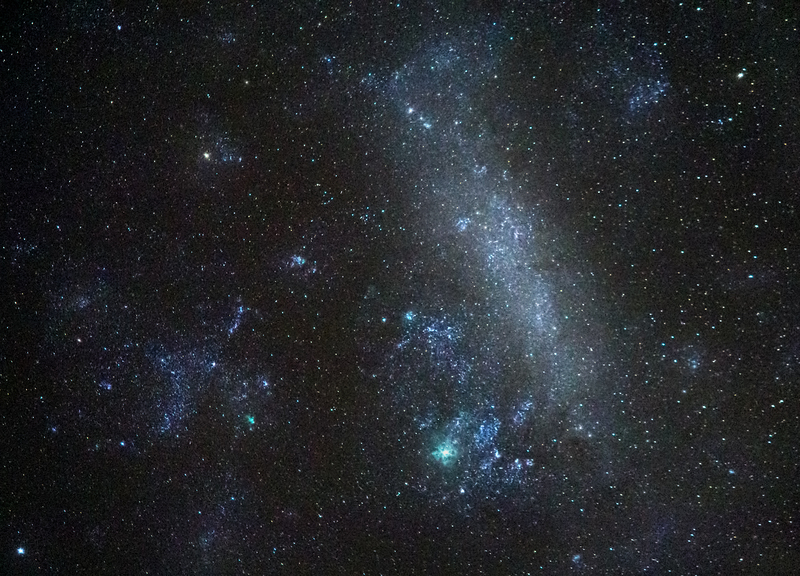 Move over Andromeda, here is the Large Magellanic Cloud – the biggest galaxy you can see with your naked eye besides the Milky Way. This is a quick (4 x 30s = 2m) of integration with a Canon L Series 200m lens @ f4 / ISO 3200. Tracking on EQ8 mount, piggyback. You can see the iconic tarantula nebula glowing in it’s characteristic green in the lower areas of this irregular shaped galaxy, a barred spiral distorted by gravitational forces.